Late October, a team of BTH Mechanical Engineering students, and future game-changers, travelled to Palo Alto, and the world #1 engineering university; Stanford University. It was time for the kick-off for the 2015/16 ME310 Global New Product Design Innovation. ME310 is a course where a global network of designers, engineers and innovators are challenging complex real world problems. Each academic year about 100 masters-level students participate in ME310 including 8-10 of top global engineering and design universities from around the world, together with live industry projects, hence the Global. The course aims to build students capabilities in design thinking by matching students with real life problems, and hence in collaboration with corporate partners. Teaching how to “dance with ambiguity” as Professor Larry Leifer introduce his ME310 talk with. The teams consists of 3-4 Stanford Mechanical Engineering students and 3-4 global university students. Prof Larry Leifer gets the students going! For the 4th straight year BTH enter in partnership with Volvo Construction Equipment (see previous experiences here). Here follows an interview with Jenny Elfsberg, Director of Emerging Technologies, Volvo CE. Jenny Elfsberg at the Stanford ME310 kick-off together with students in workshop mode. You decided to go again with Stanford/BTH global design project in ME310, how come? What is the experience you draw from these global engineering projects? Is there a global difference in how we attack engineering problems, as you have engineering development across the globe? What project are you exploring this year? What is the role of this project for the future exploration of Volvo CE? 2015/16 team; Ryan Ruvald, Hillevi Hallberg-Lyggemark, BTH Coach Christian Johansson, David Winqvist, Christofer Hallberg. 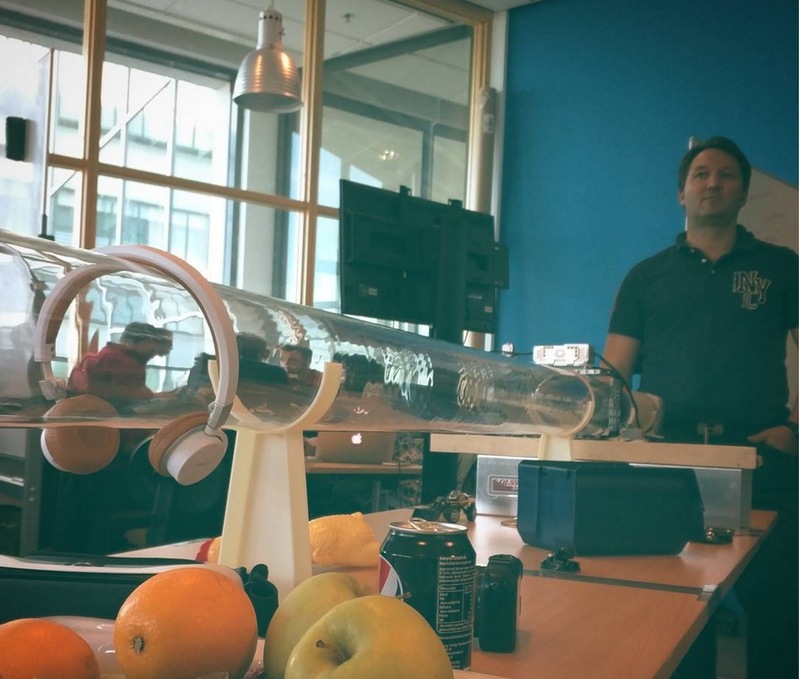 Leading up to finding the team, BTH have used design challenges like 10X.Engineering where students could sign up for a day of prototyping fun (in this case with Hyperloop as the inspiration via the Euroloop inititative). Also previous course experiences have played a role in finding the team. 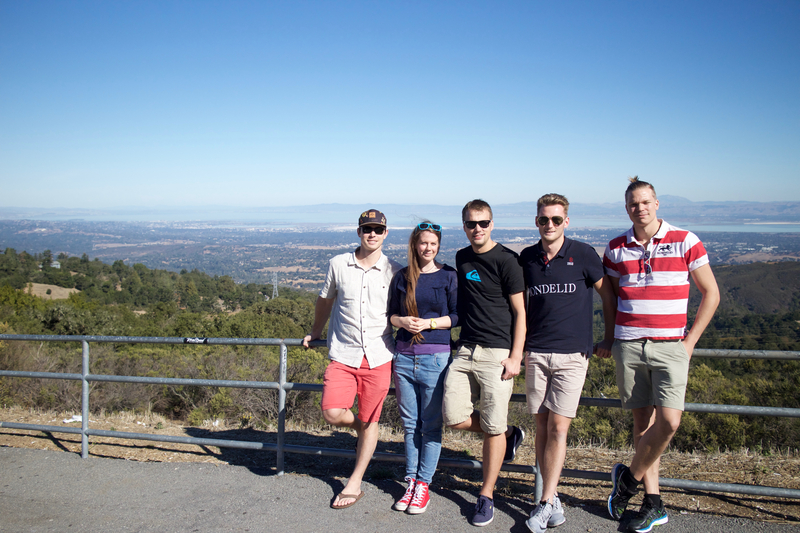 The team now consists of mechanical engineers from Stanford, and BTH Mechanical Engineering, and MSPI programme. 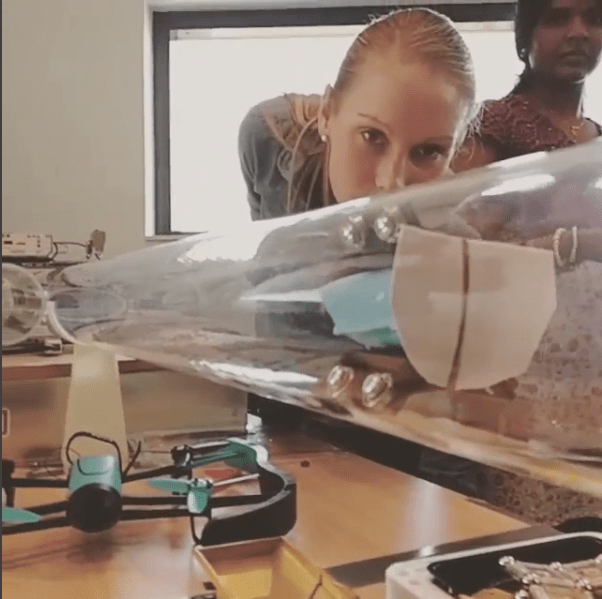 It is moving through the tube… (from Hyperloop Pod design day). “I’ve been collaborating with Stanford and the Design Division and d.school for several years going back to 90’ies and since moving to BTH we’ve been deepening the collaboration between BTH Mechanical Engineering and Stanford Mechanical Engineering to be able to offer continuous project collaboration in global innovation projects together with industry“, says Professor Tobias Larsson of Mechanical Engineering and the Product Development Research Lab. Professor Tobias Larsson at Hyperloop Pod Design Day. – ME310 Global Design Innovation will again prove itself to be a valuable experience for both students and partners. For BTH students to be able to collaborate “in real life” with one of our research partners, and also with prestigious Stanford University, is simply a great experience. Challenging, but also rewarding, I can’t wait to see the outcomes! professor Tobias Larsson concludes. From Volvo CE Jenny Elfsberg, Martin Frank, and Michael Stec will support the team, and from BTH Christian Johansson, Tobias Larsson, Andreas Larsson and entrepreneur Sebastian Sjöberg will support the team. For more information contact Product Development Research Lab Director Professor Tobias Larsson, tlr@bth.se, or coach Christian Johansson, Assistant Professor, christian.m.johansson@bth.se.